Paralegals are a valuable asset to lawyers, assisting them in the practice of law. While paralegals cannot give legal advice, set fees, or argue in court and may not provide legal services to the public except as permitted by law, they serve a vital function in providing access to justice to many who need legal services. Individuals who already possess a Bachelor’s Degree can combine educational, work and life experience with the highly focused training of this program to become ideal candidates for employment in large law firms, corporations, and government agencies. Many large law firms and corporations also employ Bachelor Degreed paralegals as legal assistant managers who supervise the work of others. Through education and training, paralegals gain the skills necessary to perform specifically delegated substantive legal work for which a lawyer is responsible. Provide a foundation in ethics and professional responsibility that will enable each student to recognize values and perform legal services in an ethical manner. Graduates of the Certificate Program will be sought after by a wide variety of employers including law firms, corporations, real estate, banking, insurance, court administration, finance, and local, state, and federal government. The most recent projections of the Bureau of Labor and Industry indicate that employment of paralegals and legal assistants will grow 14.6% percent between 2016 and 2026 which is considered to be a much faster growth rate than for most occupations. 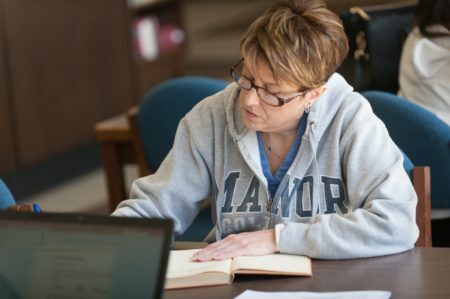 The Manor College Post-Baccalaureate Paralegal Certificate Program offers placement assistance by counseling students on resume preparation, interviewing techniques and job search skills and by sponsoring seminars relating to careers, job preparation and job search and by hosting networking events that allow students to connect with future employers. Assist in managing the law office.